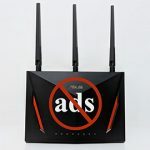 The Asus RT-AC86U and the RT-AC88U (which is a bit older) are two of the most popular wireless routers from Asus, first, because both of these devices can offer a great wireless performance and a large variety of useful features and secondly, because they fall within the pricing sweet spot of what people are willing to spend for a better-than-average router. Furthermore, these two routers also come at the perfect time to replace the previous generation of high-end AC1900 routers which should be getting closer to reaching the end of their life cycle. It may come as a surprise that the Asus RT-AC86U is actually younger than the RT-AC88U by about two years and it was released as a successor to the RT-AC68U (a router which is still popular to this day) while also keeping the dual-band approach (the newer Asus routers have been almost exclusively tri-band) and being the first in line to support the AiMesh technology. 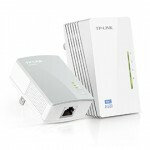 When it was released, the Asus RT-AC88U was the best the manufacturer had to offer, being able to outshine its competitors with its great wireless speed performance (it’s also the reason why the PCE AC88 exists in the first place, because there were no adapters available to reap all the benefits of this router) and, while the technology evolved really fast, the RT-AC88U remains very much relevant even two years later. 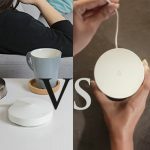 That being said, the Asus RT-AC86U seems to evenly match the RT-AC88U in terms of both performance and features, so let’s see which of these devices is the better fit to replace your ageing router. Note: You can also check the full review of the Asus RT-AC88U and the full review of the Asus RT-AC86U. 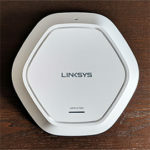 While the new WiFi systems have adopted a clean, minimalist design approach, the regular, one-unit router didn’t evolve that much from it industrial look of its early days, so the manufacturers kept the same blueprint over multiple generations (the rectangular case with multiple external antennas) and only made minor adjustments with every new iteration of products. 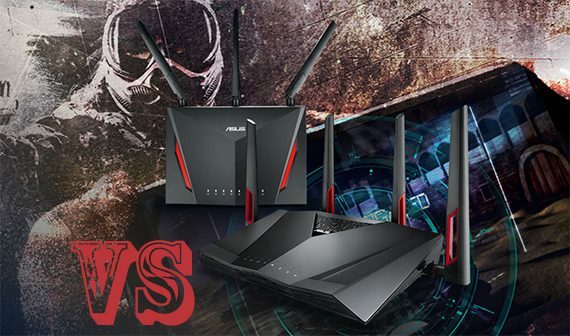 Asus does fall in the same category for the most part, but its wireless routers line was always beyond the neutral industrial look and preferred to differentiate itself from the competition by using sharp lines and red accents of colour, thus giving their devices a more aggressive overall look. The Asus RT-AC88U is the perfect example, featuring a rectangular case (made of hard plastic) which lacks any rounded corners, preferring to go with a more angular aspect (especially on the top, where there’s a wave-like pattern) and the whole case is covered by a black soft matte finish (which is pleasant to touch and does not retain fingerprints), while the four antennas which rise from the back and the lateral sides are the ones that carry the signature red accents (inside some cut-out areas). At first glance, the RT-AC88U may seem like the usual gaming router, but, at a closer look, you will notice some design elements (such as the branch patterned cut-outs positioned on the top and the front side) that give the router a more refined touch. The Asus RT-AC86U follows a similar design language, but, unlike the RT-AC88U which is positioned horizontally, it is closer related to the RT-AC68U, so it can only sit vertically. Furthermore, the RT-AC86U also features a rectangular case covered by a soft black matte finish and, on the front, the case slightly protrudes in an Y pattern, while towards the left and the right side, Asus has included two red pieces of plastic which rest inside two carved-in areas (as a reminder that we’re dealing with a gaming-focused router). 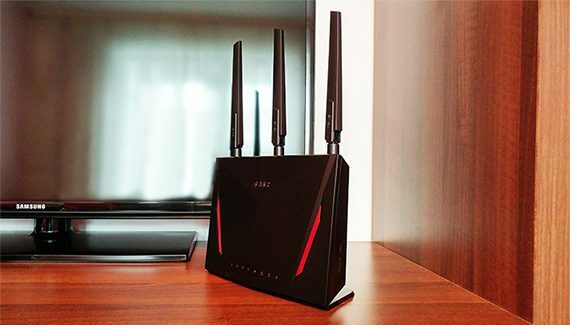 Unlike the Asus RT-AC88U which resembles the front side of a modern sports car, the Asus RT-AC86U gains quite the ominous look with its three antennas pointed upwards. 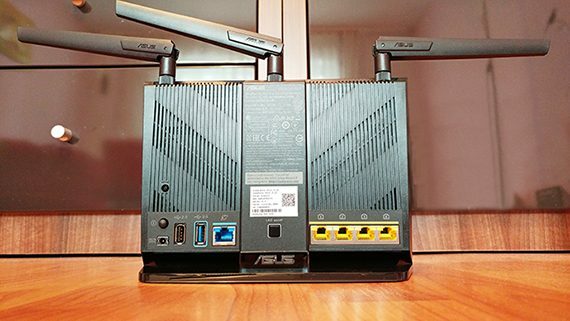 What’s really interesting is that when it designed the RT-AC86U, Asus managed to keep the same proportions as the router that it took inspiration from (the RT-AC68U which measures 8.6 x 6.3 x 3.2 inches) and that allows the user to position the device anywhere in the room without taking much space (it has a very small footprint). Furthermore, despite its smaller size, the RT-AC86U did not overheat even under heavy load and that’s thanks to all those conveniently placed vent holes on the rear side (it does get warm though, so make sure to keep it somewhere in the open). The Asus RT-AC88U rests at the other end of the spectrum, measuring 11.8 x 7.4 x 3.3 inches and having a much larger footprint which requires a lot more space from your desk. Fortunately, you do get the option to mount it on the wall (something that the RT-AC86U does not). Because it is larger, Asus could add more vent cut-outs all around the case, thus ensuring that the RT-AC88U is running cool and won’t overheat. One element that both these two routers have in common is the array of LED lights which indicate the status of the system. 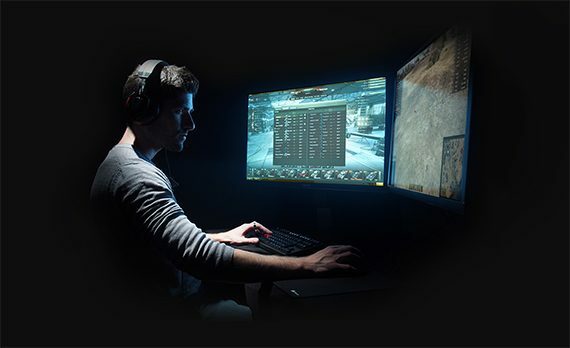 The Asus RT-AC88U has the LED indicators positioned on top responsible for the status of the Power, the two radio bands (2.4GHz and 5GHz), the WAN port the eight Gigabit Ethernet LAN ports, the USB 3.0 port, the USB 2.0 port and the WPS. The Asus RT-AC86U opted to put the LEDs on the front, towards the bottom and these indicators also show the status of the Power, the 2.4 and the 5GHz radios, the WAN port and the four LAN ports. 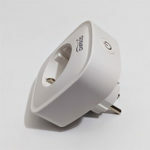 I understand why the manufacturers have migrated away from the array of LED lights, in favour of a single LED (which is usually found on the WiFi systems), but I highly doubt the user will understand what happens when the LED changes its colour (during the initial set up process or any time there’s a change on the network). So, while simplicity and the minimalism are the current buzzwords in the home networking world, the array of lEDs still remains the most user-friendly solution. On the rear side of the RT-AC88U, Asus has added a small Reset button, a WPS button, a USB 2.0 port, a WAN port, the Power port, the On/Off button and, between the two rear antennas, there are eight Ethernet Gigabit ports. On the front of the router, you can also find a USB 3.0 port hidden underneath a large plastic cover and on the right side, there’s a WPS button and a WiFi On/Off button. The Asus RT-AC86U has also positioned its ports and most of its buttons on the rear side: a small Reset button (hidden between the vent grills), a Power button, the Power port, a LED On/Off switch and four Ethernet Gigabit ports. 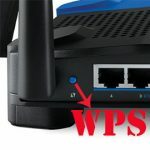 On the left side of the router, you can also find a a large WPS button along with an equally large WiFi On/Off switch. 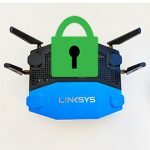 Verdict: Some people may think that the traditional router has become unnecessarily big with too many antennas protruding from everywhere (up to the point of actually repelling new potential customers). For those people, there’s the new series of WiFi systems. 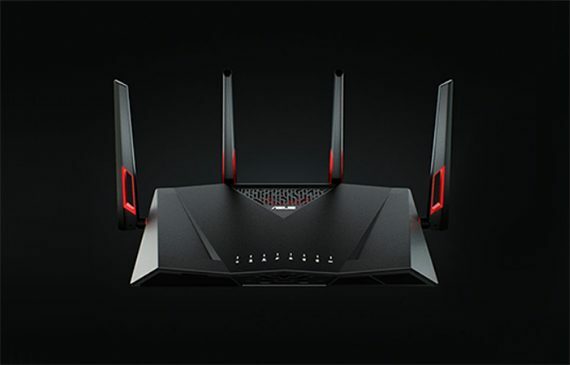 For the rest of us, we got two carefully crafted routers with an unique design combination between aggressiveness and elegance (especially the Asus RT-AC88U). So, while the Asus RT-AC86U is smaller but limited to one position only, the RT-AC88U is larger, but can be mounted on the wall, so the deciding factor is going to be the number of ports. This makes the RT-AC88U the winner of this round offering eight Ethernet LAN ports. The Asus RT-AC88U is built on the Broadcom platform, sporting a dual-core BCM4709C0 chipset clocked at 1.4GHz (four ports use the Realtek RTL8365MB Switch Controller, while the other four use the Broadcom BCM4709C0 built-in switch), 512 MB of RAM and 128 MB of flash storage memory. Furthermore, both the 2.4GHz and the 5GHz radio bands use the Broadcom BCM4366 4×4 chipset (the 2.4GHz radio also using of the RF Skyworks SE2623L Power Amplifier along with a 2.4GHz SPDT switch with LNA Skyworks SKY85201-11, while the 5GHz radio uses a RFMD RFPA5542 PA module along with a 5GHz SPDT switch with LNA Skyworks SKY85605-11). The Asus RT-AC86U comes equipped with the newer dual-core Broadcom BCM4906 chipset (ARM v8 Cortex A53) clocked at 1.8Ghz (the ports use the built-in Broadcom BCM4906 swith chip), 512 MB of RAM and 256 MB of flash memory storage. 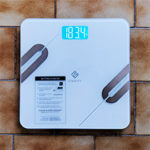 Additionally, the 2.4GHz radio uses a Broadcom BCM4365E 3×3:3 SoC, while the 5GHz radio uses a Broadcom BCM4366E 4×4:4 SoC (while externally, the RT-AC86U has three antennas, it does have an additional fourth antenna as well). 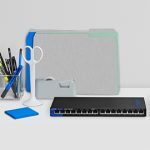 The RT-AC88U is an AC3100 class router and the maximum theoretical data transfer rate is 1 Gbps using the 2.4GHz radio band and up to 2,167 Mbps using the 5GHz radio band (thanks to the NitroQAM technology). 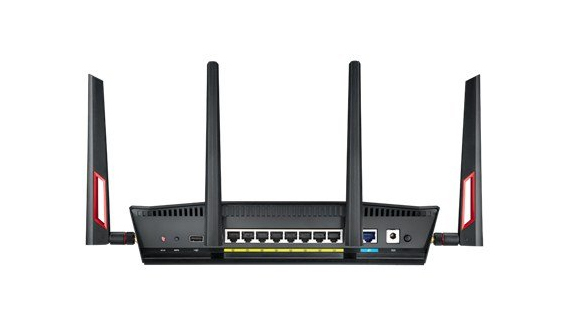 The Asus RT-AC86U is an AC2900 class router and it features a maximum theoretical data transfer rate of 750 Mbps using the 2.4GHz radio band and a maximum of 2,167 Mbps using the 5GHz radio band (also thanks to the NitroQAM technology). Note: Both routers are compatible with Amazon Echo/Alexa. Verdict: It’s clear that Asus didn’t cut any corners and has added some of the best hardware available to both routers, but, considering that the RT-AC86U is newer and seems to be better equipped than the RT-AC88U, it wins this round. While the Asus RT-AC86U can be considered the successor of the RT-AC68U especially from the design point of view, it does have a lot more in common with the RT-AC88U when we take into consideration all the implemented features and technologies. For example, both routers have in common the addition of the MU-MIMO technology (multi-user multiple-input and multiple-output) which ensures that multiple clients are served at the same time (the traditional SU-MIMO approach allowed only one client to be served at a time, so the connected wireless clients were forced to compete for the bandwidth). When the RT-AC88U was launched, Asus had some trouble justifying this new tech so it released the PCE AC88 adapter which meant that the users of desktop PCs could have the best wireless performance available. Unfortunately, things haven’t changed that much over the last two years, so the MU-MIMO tech is still not really widespread and can only be found on new routers, some high-end adapters or laptops and occasionally, on some flagship smartphones (implemented as 2×2). Another feature found on both routers is the AiRadar BeamForming, a technology that has the role of efficiently focusing the signal directly towards any wireless client connected to the network that has a compatible wireless card and not just broadcasting the signal everywhere and hope that it will reach all your clients. 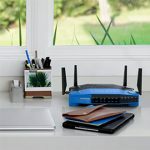 One feature that I noticed only on the RT-AC86U is the Range Boost which should improve the long-range wireless performance of the router and help achieve a larger WiFi coverage. Furthermore, in case you don’t want to have two separate SSIDs for your two radio bands and connect clients manually to each network, you can use the Smart Connect feature (available on both routers) which binds the two networks together and dynamically moves clients from one band to the other based on a list of preset rules (that can be changed by the users). This feature didn’t receive much development over the years from Broadcom, so sometimes it may not work as intended (the user can experience occasional disconnects and, from time to time, one band can become overcrowded). The advent of the mesh WiFi systems has created a turning point for home owners by challenging the one-unit traditional routers and implementing a multi-unit approach which would cover a large home with WiFi leaving no corner untouched. As a consequence, the focus steered away from the regular routers and the WiFi systems got more in the centre of attention. 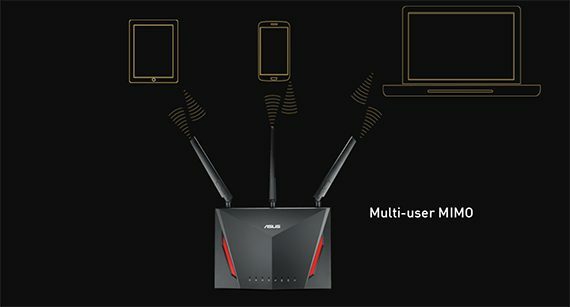 As a reaction, Asus developed a clever tool to counteract it and allow the users that have an older Asus router to not have to purchase an entire new system, but just one additional Asus router which would pair with any existing compatible router to create a mesh WiFi system using the AiMesh technology (Asus is not really the first to develop this type of software: Google has allowed the OnHub routers to work as mesh points along with the Google WiFi system for a while now). Thanks for the review! Great work! Thorough comparison. I upgraded my internet service through Comcast from 150/25 to their gigabit internet tier. I purchased a Motorola MB8600 cable modem to go with my ASUS RT-AC66U router. Just as expected, the router couldn’t handle the new gigabit speed. Connecting the modem directly to my PC easily achieved rated numbers. With the ROG Rapture GT-AX11000 hitting shelves relatively soon, I didn’t truly have any plans to upgrade my router. On the other hand, keeping equipment which doesn’t take full advantage of my new service would drive me nuts. I needed a cheap solution to get me the speed I’m paying for. 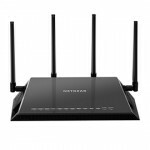 After doing some research, reluctantly, I decided to return the Motorola MB8600, purchasing a NETGEAR Nighthawk X4S (C7800) modem/router combo instead. Right off the bat, speeds were great! I just wasn’t happy overall. Having used custom firmware (Asuswrt-Merlin) on my RT-AC66U for so many years, Netgear’s firmware left a lot to be desired, especially the watered down version on the C7800. Not to mention, all firmware upgrades are handled by the ISP. Bummer. So, I just ordered a Motorola MB8600 again, but this time with an Asus RT-AC86U to go with it. This will suit my needs much better. Once the ROG Rapture GT-AX11000 comes to market, I’ll use the AC86U as an AiMesh node.